Custom Shropshire Batteries Ltd badge for Ade Jones. 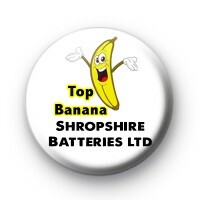 A top Banana badge with Shropshire Batteries Ltd text at the bottom. Standard 25mm badge made in the UK.